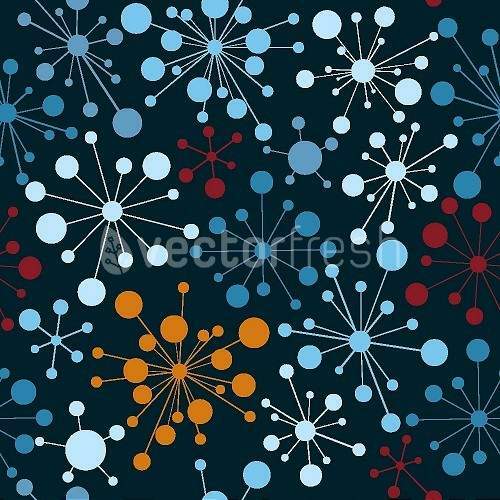 Today I would like to share with you our picks for the top 10 vector patterns! What’s great about these patterns is that they are entirely seamless. What this means is that they can tile seamlessly without breaking the designed pattern within them. So, no need to worry about fitting them onto different background sizes, you simply create copies and place them vertically and horizontally in line with each other. 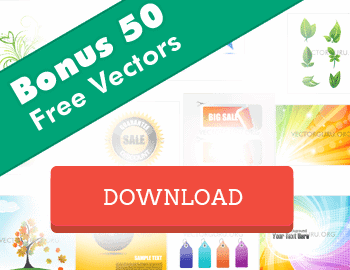 More over, these are all available in vector formats which make them completely editable. You can colour them, alter the shapes within the patterns and scale them out to suit your designing needs. Why not try it out in one of the Alternatives to Adobe Illustrator we discuss in this article. Our friends over at Vectorfresh have given us this handy search bar, why not have a look at some of their awesome Vector Patterns and their fantastic early bird offer on their yearly subscription! Here's a quick look at what they offer! One year membership, 1,200 images and no limit on your daily downloads (Up to 100 per month) for $49, that's a huge 55% discount! And the promised search bar! A style forever popular amongst designers and consumers alike. Comic Speech Bubbles add a fun way of getting pop words and short pieces of information across to your clients in a fun and relatable way. 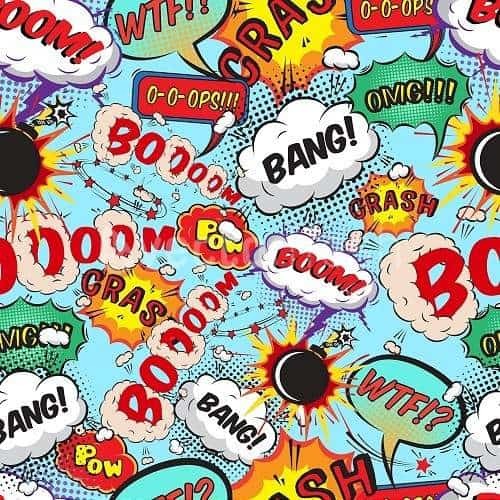 Who didn't read comic books as a kid, the screamed action and always managed to draw your attention in the newsagents! Here are some more great Comic Style Vectors! People can relate to anything cute and cuddly, especially if it represent something real. 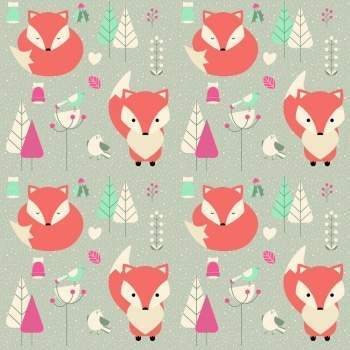 With ties to a christmas cheer theme, these little foxes surrounded by abstract trees is sure to catch the eye of anybody looking! Cute animals are an excellent way to attract your customers, drawing upon memories of pets or favourite animals and helping to create a bond with your brand or content! Check out some more Seasonal Animals Vectors! Since the advent of the microscope, people have been interested in the unseen world that goes on at a microscopic level. So why not take a look through the microscope with this beautifully designed background featuring bacteria and other micro organisms that is sure to please all the science nerds out there! 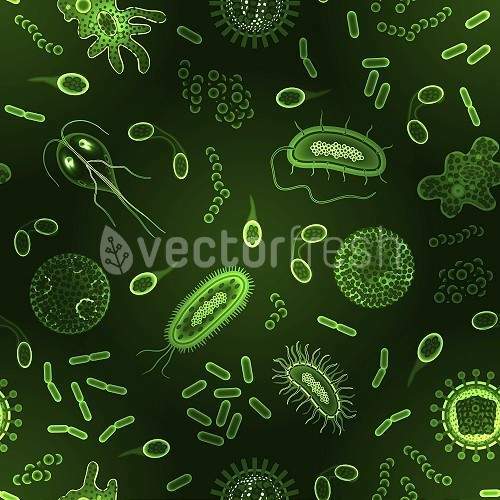 Why not take deeper look under the microscope, Click Here for some more Microscopic Style Vectors! Silhouettes are a great from of art to use in your product or advertisement as they are unorthodox, contain a lot more drama, yet in a calm way and are open to interpretation by the person looking at it. 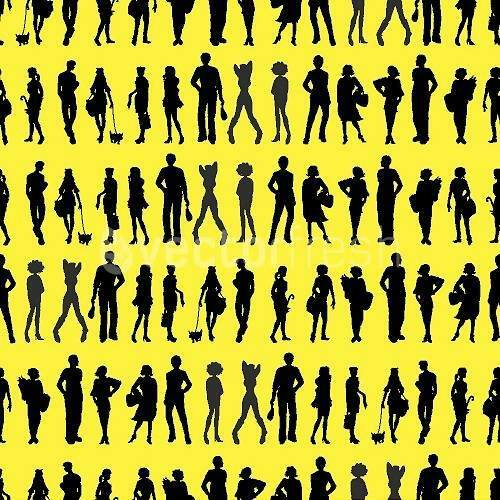 Here we can see figures of people in various poses imprinted on a vivid yellow background, this seamless vector is a perfect attention grabbing background! Looking for some background idea's that will not only draw the attention but allow your viewer to use their imagination? Here are some other great Silhouette Vectors to inspire you! With its light blue and white hues, this background is sure to brighten up any website or publication. With no hard contrasting colours or distracting patterns, this beautiful sky is sure to make your content stand out. Looking up into a blue sky rings out feelings of warmth and happiness as does looking at images and representations of the sky and the sun. 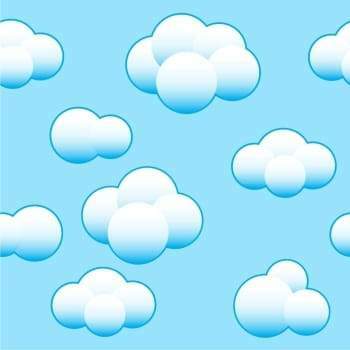 Why not check out some other Sky related Vectors? Ever since the rise of the hipster movement spectacles have been a part of young culture. Used not only to block out the sun or to read, spectacles are a great accessory of individualisation, with the millions of colours and frames that have been available in both modern and retro styles. This background has a representation of the changes of spectacle design over the years. Laid over a dark purple background, these yellow and pink specs are instantly recognisable. 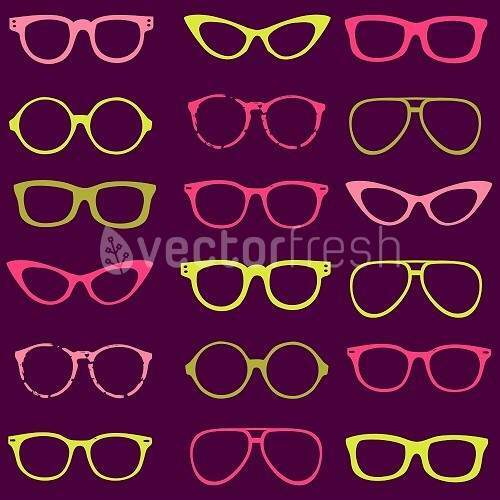 Check out some other awesome Spectacle Style Vectors here! Mosaics as a style have been around since the dawn of civilisation and have continued to be popular throughout the ages. with black and white tiled bathrooms to multi coloured flooring and wall decor, the popularity of mosaics was of course going to continue its popularity as the age of modern technology dawned. Here is a simple yet beautiful dual coloured mosaic design, perfect as a background for a minimalist or modern style website. Mosaics are timeless, having been around for millennia, I'm sure they will stick around for millennia's to come! 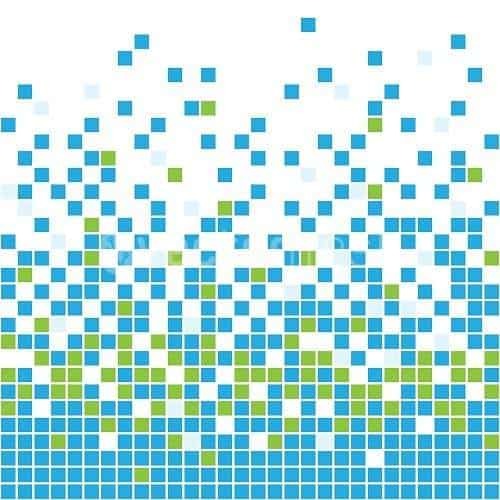 Here are some timeless mosaic style vectors to help square up your website! With the rapid expansion of the technology market, it has been hard for many people to adjust to this new age. One of the clever ways that designers get around this is through skeuomorphism, the concept of digital representations looking like their real life counterparts. Take this abstract leather background with metal wrapping, it is the perfect cross over between digital art and the real world. Here some other great examples of skeuomorphism to show you just how effective it can be at translating real world actions into digital realisations! A huge resurgence in retro style art has resulted in many high quality 80's style wallpaper designs. As you can see, the vibrant coloured designs over the dark blue background pop off of the page and makes for a perfect attention catching background. With the comeback of retro being not so subtle, there are many fantastic designs out there that pull upon 80's style designs, from wallpapers to advertising there are literally thousands of options to choose. Why not have a look at some more here! Perfect for the coming season, this seamless summer landscape is perfect for creating and endless, scrolling scenery. With the advent of new technologies such as touchscreen's, the computer is no longer all about the vertical scrolling and point and click. With the ability to scroll horizontally, diagonally and to manipulate sites directly with your fingers, having a great background that works in all directions could be the perfect match for your Web 2.0 site. 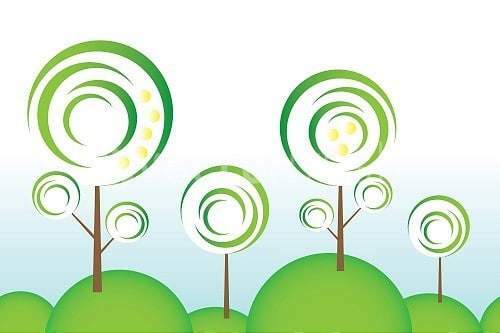 The seasons have a direct influence over our lives, changing our weather, our daily schedules, the life cycle of tree's and plant's, therefor it holds a deep connection to people and the use of season imagery can have a major impact on a person. Here are some other great examples of the seasons, you will see for yourself how perspective changes with the passing of the seasons! And here is an 11th pattern that I couldn't help but add! 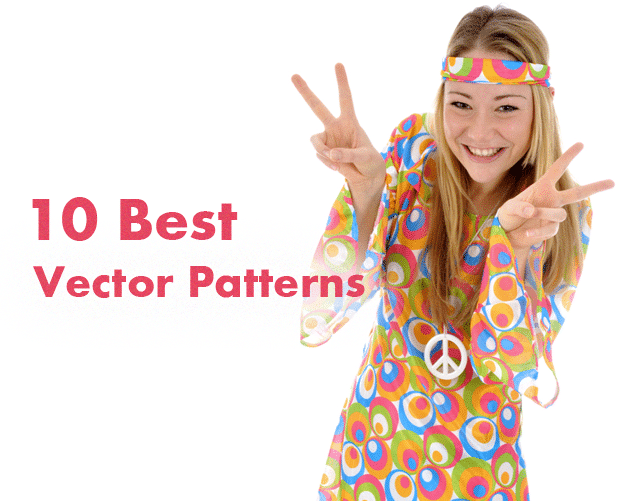 This list of Vector Patterns would be incomplete without a paisley design pattern. 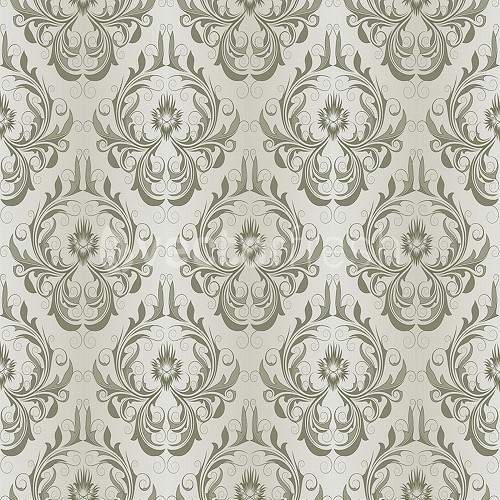 This absolutely seamless vintage paisley design pattern is an extremely intricate design with fine detailing. With its intricate green pattern styled on flowers and leaves, this vector background is the perfect representation of the vintage paisley design style! Here are some more beautiful paisley style vectors for you to enjoy! And why not take a look at some Adobe Illustrator Alternatives, perfect solutions for anybody, from the budget conscious to the simply curious! Tip: A small piece of advice: If you want to alter the Vector Patterns you choose to download, make sure you do it without affecting the shapes at the edges or the pattern may not tile seamlessly. I would love to know what your favourite is from the list above, or if you have any others that you would suggest. Don’t forget to subscribe to our newsletter as we frequently post awesome articles purely on Vectors. 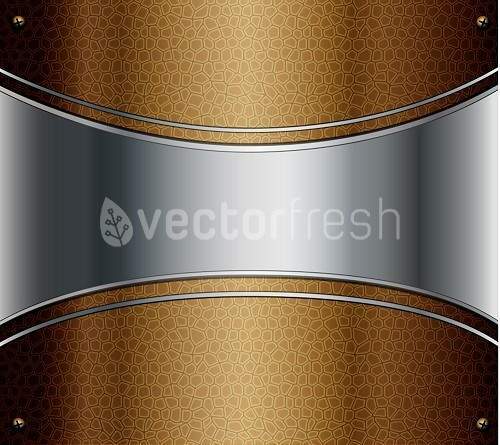 I hope you enjoyed our 10 Best Vector Patterns post and enjoy using the search bar we have provided to search the library of our friends over at Vectorfresh!